This summer, Choral Scholar Heather Seaton had a chance to venture south to be steeped in the rich traditions of Anglican church music during a Royal School of Church Music (also known as VOICE for Life) conferences in North Carolina. 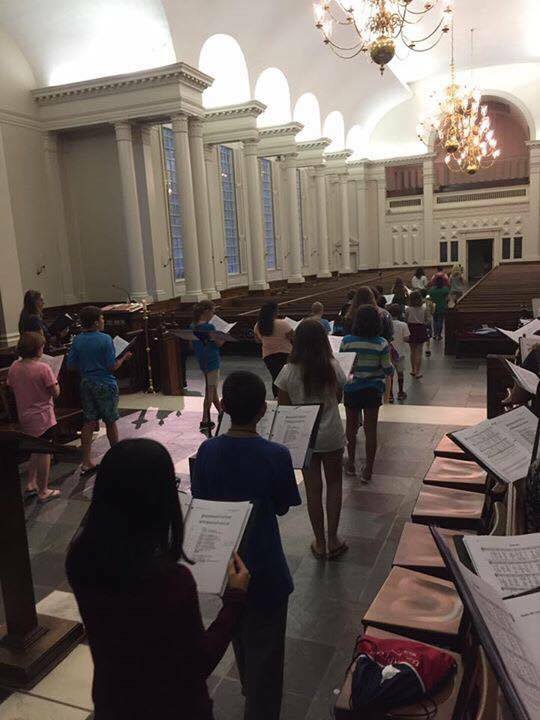 Based at St. John’s in Charlotte, N.C. students (both youth and adult) were under the direction of Dr. Julian Wachner, sang during several worship services and focused on the mechanics of the VOICE for Life program as wells as the choirs function in leading liturgy. St. John’s in Saginaw is an RSCM member and is working so that all of our 3rd+ grade youth may participate in this program during our 2017-2018 program year! Not familiar with VOICE for Life? The program provides a framework for choral singers to develop their vocal skills, their musical understanding, and their knowledge of the repertoire. All while advancing through targeted levels at their own pace. Students to progress through each of the 5 levels will earn the associated ribbons, medals/badges, music, and materials.